Learn all about the exciting world of lifeguarding. Improve your skills, your strokes, make new friends, get fit and have fun. Prerequisite: Children must be able to swim two lengths of the pool comfortably. Serious fun! That's the Jr. Lifeguard Club (JLC) in a nutshell. More action, more options, more fun! The JLC offers a unique aquatic alternative for children who love the water and want more than just "lessons" or wish to complement the skills they are learning in swimming lessons or swim team. Children join the clubs, not just attend swimming lessons. Participants receive a water log to store seals which acknowledge their accomplishments. 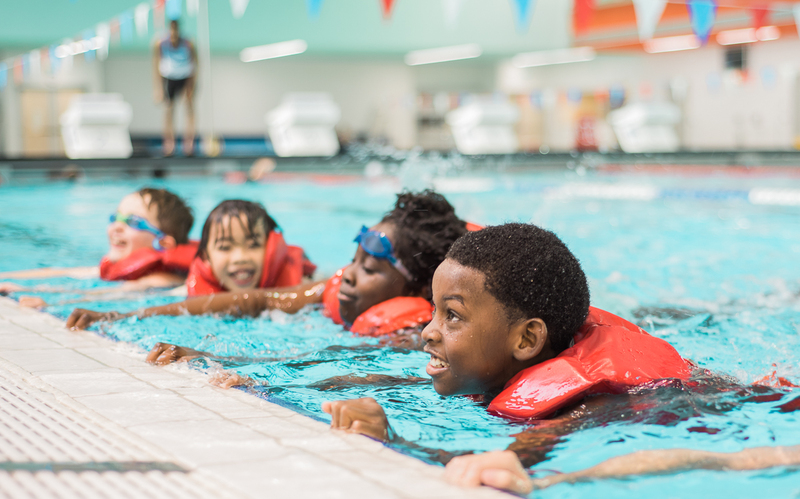 Children participate in activities that are similar to those of real lifegaurds - in a safe, fun and controlled setting where they learn about lifesaving and lifeguarding, challenge themselves for personal bests, hang out, get fit, make friends, and have a great time. The JLC meets weekly, with optional opportunities to get involved in special events and volunteer opportunities. JLC water log and recognition stickers: $10.